i'm starting to think i may be cursed (or maybe, just a bit careless). my sunglasses break all the time. granted, most of them don't even come with cases because i buy them at forever 21, h&m, and target. 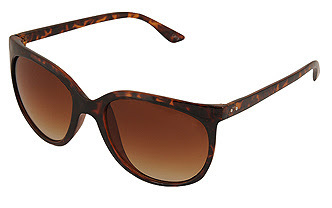 i'm really into thick, black over-sized frames, especially cat-eye shapes and retro styles. when i was in europe, i managed to break two pairs of sunglasses in 4 days (the vintage ones i bought from etsy, and the pair i bought at zara in paris for 29 euro). after the zara pair broke (the arm popped off), i bought a cute tortoise pair from h&m the next day for less than 6 euro. nice. i was impatient/desperate when i bought the last pair and now i want to hunt for something special. 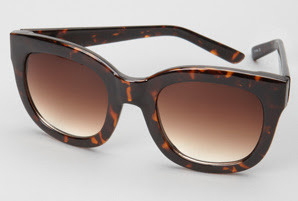 during the trip, my friend gina bought these gorgeous black oversize cat-eye sunglasses--my DREAM sunglasses--from a shop in france called lunettes (i forgot the brand). i would've bought a pair too, except they cost 300 euro! ack! i don't even want to do the conversion into US dollars right now because it was way over my budget. 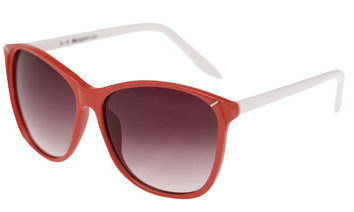 what are your favorite sunglasses brands, designers and styles? where do you usually like to buy your sunglasses?